Jean Heder Petit-Frere was born in Deschapelle, Haiti. After a series of affairs his father had, Jean's mother left her husband (though tshe remained married to him according to her faith). She took Jean and his sister Suze with her to Port-au-Prince, the capitol of Haiti. Jean was six years old. In Haiti it is extremely difficult to find a job especially if one is not corrupt and even more so if one is uneducated. Jean's mother was neither corrupt nor educated. As a result she raised her family through the trials of extreme poverty. In spite of this they were never without a little something to eat: a small piece of bread and sugar water at the least. Eventually, however, Jean's mother could no longer support her growing family. In an act of desperation she sent Jean to live with his father. The next few years of Jean's life were the worst of his childhood. True, his father was in the military and could provide a little more for Jean but the reality was that he didn't. Not only did Jean's father fail to provide for his basic needs, he also failed to protect him from the many less-than-kind women he roomed with. Every new woman Jean's father hooked up with brought some new torment to Jean. It seemed that no one loved him. Finally, Jean could take it no longer, his mother had sent him away, his father didn't care about him, and the people around him were cruel to him. Walking home one day the feelings of loneliness and despair finally overtook him and he broke down into tears. When he looked up he found that he was standing in front of a church. His mother had always taken him to church when he was with her so he knew about God. In desperation he cried to God and prayed that someone would come along who cared about him. As it happened someone did come along. Jean recognized a woman who knew his mother. After she came to visit Jean several times (which was out of her way) he realized that she cared about him and that she could be trusted. He asked her if she thought that his mother would take him back if he went to her. She said she thought his mother would take him back. That was all Jean needed to hear. Shortly thereafter Jean ran away from his father and went back to his mother's one-room home. She did indeed accept him back. After that experience Jean increasingly desired to know God more and to see his country improve dramatically. Before he was old enough he enrolled in seminary and was accepted. However, what he expected to learn at seminary he did not. He thought that someone who knew the Word of God would know the God of the Word; Jean wanted to know God personally and have a relationship with Him but seminary only taught him about God. The more he learned the more he desired to know God. After seminary Jean applied to Caribbean Christ for the Nations in Jamaica. Before he received his acceptance letter he went to Jamaica in faith. After he arrived and presented himself at the school he found out that he had been accepted. At long last Jean finally found what he was looking for and more. Not only did he come to know God personally while he was at Caribbean Christ for the Nations but he also received the vision for Haiti that he still holds today. Not to mention he met his future wife while he was there. 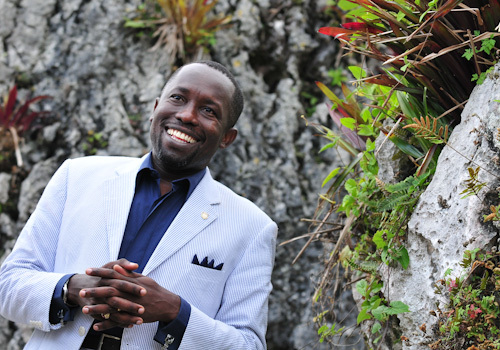 After Jean graduated from Caribbean Christ for the Nations he moved back to Haiti to begin his ministry. He married Marcia in 1992 and in 1993 they had the first church service in their home. Since that time God has miraculously provided again and again for them and for Shabach Ministries International. Jean, Marcia, and their three children, Sarah, Jason, and Matthew currently live in Carrefour, Haiti.